Can music make us smarter? Following a 1993 study in America, it was believed that having babies listen to Mozart would improve their cognitive abilities. More recent studies suggest that the key to improved cognitive performance is listening to music which best aligns with your mood. The Mozart Effect invites audience members to participate in a live experiment demonstrating just how music affects our minds. 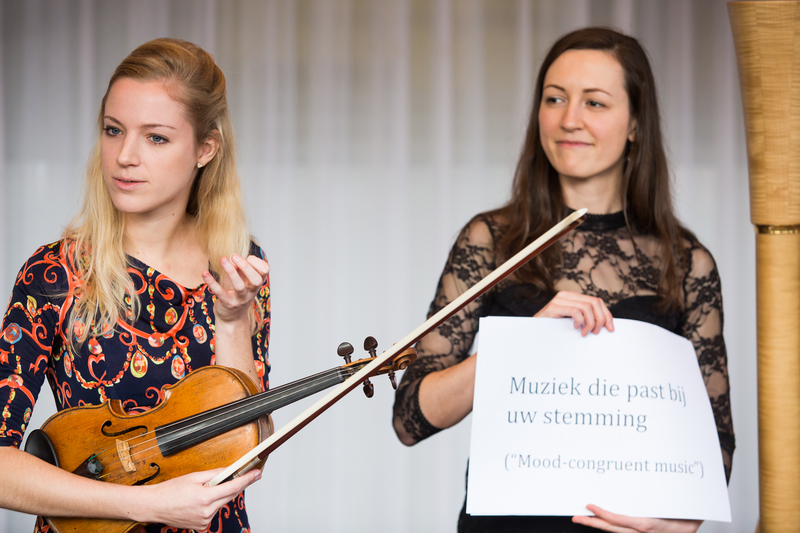 In the course of the program, violinist Merel Vercammen, who also completed a MSc in Music, Mind and Brain at the University of London, will give an overview of the current scientific theories, and listeners will be treated to a series of stimulating mental challenges as well a performance of emotionally powerful works for violin and harp. With the aid of a smart-phone app designed by software developer Gert Wijnalda, data and results will be projected live during the show. 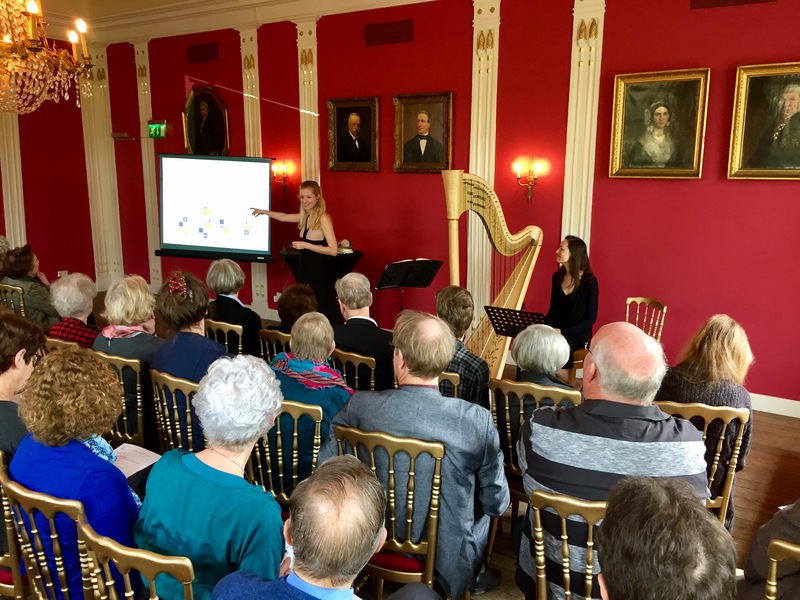 The Mozart Effect aims to introduce participants to the connection between science and music. After the show, the audience will better understand how to “use” music to improve their cognitive performance. A short documentary made during the premiere at the Grachtenfestival in Amsterdam. The New Mozart Effect is made possible by support from the Amsterdams Fonds voor de Kunst and the M.A.O.C. Gravin van Bylandt Association.